After the mounting losses battle with lucrative commissions and deep discounts offered in China Market, the ride-hailing giants warfare ended with a M&A deal. Although it stopped almost $1B losses in Uber per year, the origin revenue model is still not steady and appropriate. Imagine one day if ride-hailing company are no longer provide any discount, then what’ll happen? Facts are original drivers and consumers will absolutely decrease. So, what may be the next business area to earn steady profit for ride-hailing companies? Let’s start from the essence of ride-hailing companies business model——sharing economy, which means sharing the idle resources in society. In spite of the one-sided explanation, another key value is by connecting (IoT) Internet of Technology to link supply and demand more effectively; Forming a dealing model with new type resources and services. Sharing economy should not be “free economy” but “effective economy”, thanks to some ride-hailing giants increase the usage of idle vehicles by innovation of mobile IoT. Online vehicle renting platform as a core, Uber continuously enrich its business types. Logistics and express delivery services as main direction, it has tried food delivery, goods transporting,.etc. 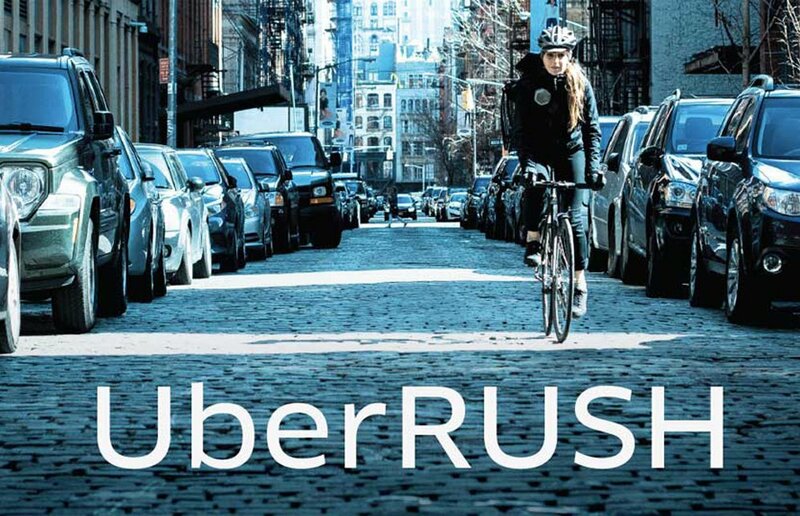 After a few month, Uber even launched “UberRush API” and provide to some companies to take delivery orders from their clients. Under traditional logistics system, the relationship between courier and customer is unfair, therefore, couriers may not make any effort on interacting with customers but just wanna finish the job as soon as possible; While under sharing economy system, the couriers’ attitude might be better because of their autonomous engaging. Traditional logistics system originally owns fixed delivery routes, especially the packages have to be grouped at least once in delivery center and distribute to each stops before arriving destination; While if ride-hailing service directly leave out this center node and save time for customers. Traditional logistics system can promise our clients to protect their goods arrived safe and sound; While sharing economy system can’t constraint the drivers seamlessly, no wonder that it’s often being concerned. Why not? Because It’s still Immature. In consideration for the humanity and user experience, ride-hailing giants that represent sharing economy model, making effort to be disinter-mediation. But when it comes to “quality”, “order intensity” and “vehicle dispatching”, in short term, ride-hailing service cannot cover whole user base but focus on high-class delivery. “Quality”: If there’s some complicated and professional problem involved, how will we control our service quality? “Order intensity”: If there isn’t enough orders to tie each delivery costs, then that’s no sense to develop logistics service from ride-hailing. "Vehicle dispatching”: Even if we get enough orders, how will we divide the orders and dispatch our vehicles by accurate computing to handle the operation? So should ride-hailing companies with sharing economy system develop logistics service, in order to reach steady revenue sources? The answer is, yes, but enough is enough. We can judge it by deleting law. Consider that Uber, Didi, Grab, Ola, Lyft,.etc, continuously operating their ride-hailing business only and forever, it’ll probably end with price war which isn’t worth it at all. As we all know, when transferring core business, we should put appropriate percentage to the former and the latter, in order to balance the new operation costs. With partial logistics service corporate with online retailer or brand eCommerce giants, and stabilized the original ride-hailing business, not only find steady revenue sources, but also may suspend the endless price war around the corner and draw a new way worth trying.